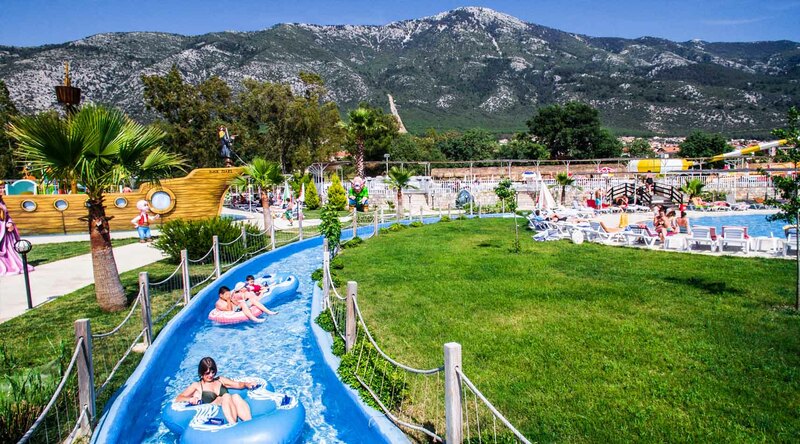 If you look for a cool and refreshing day during your hot summer holiday in Fethiye, our Fethiye Waterpark tour will be the best choice. In our one-day excursion to the Aquapark, you will enjoy having the opportunity to have fun like children in the cool waters of the pools. You will return to your childhood days, and have a lot of fun. 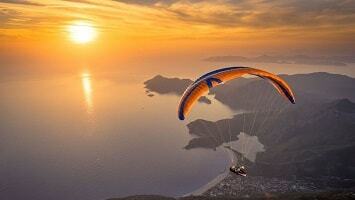 During your peaceful Fethiye holiday, this will be a great chance with full of fun for you and your family. After a long year of business and school rush, Fethiye Waterpark escapade will be a refreshening opportunity for you and your children. 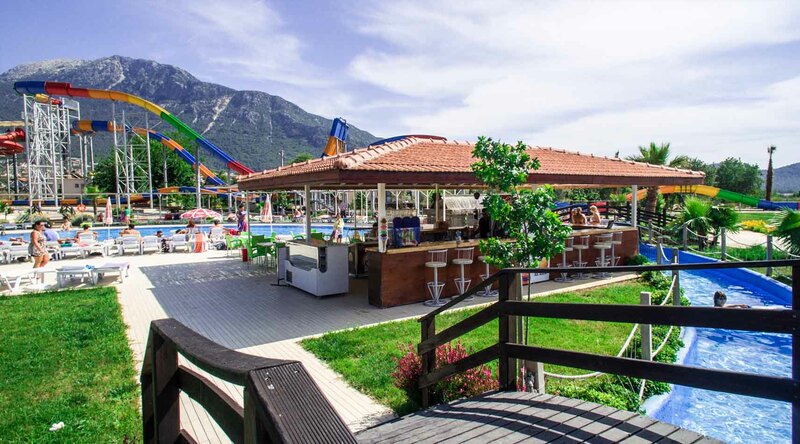 Spending an amusing day within aqua park in Fethiye with your family or friends will help you getting rid of the stress of the boring business and school life. 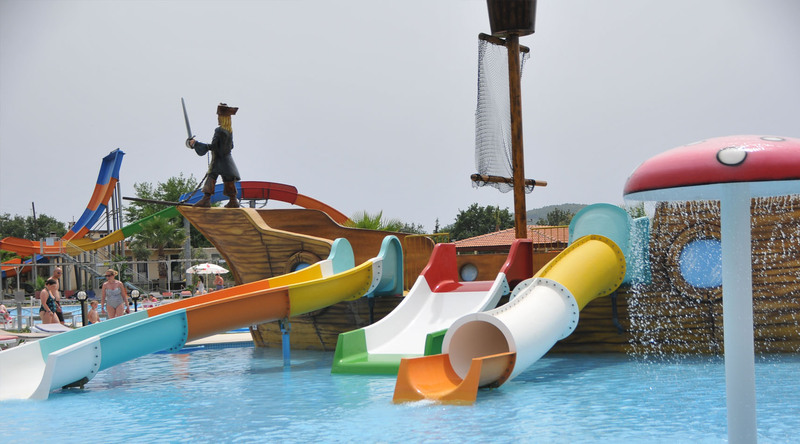 Fethiye aquapark is specially designed to make you have a day full of joy and laughter. If you get tired from swimming and jumping, you can lie on your back under the warm sunbeds and you can allow your children to discharge their energy with a variety of funny activities. This will be a great chance to color your world during your holiday. You will be presented with a variety of different slides and pools. The slides will have different heights, and shapes. You can calmly slide from one while you can push the limits of your braveness at the highest one. Do not worry, even though it is very high, it would be safe for you. 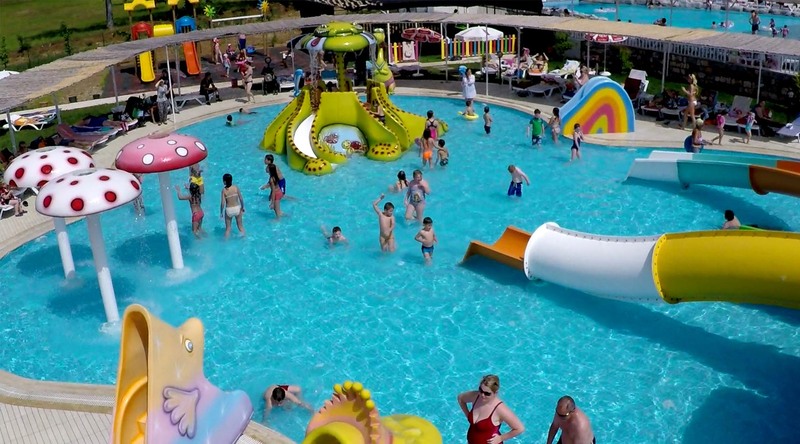 There are variety of pools in Fethiye Waterpark. They change in size and you can even try the ocean wave pool. When you get tired, you can have a cool drink and soak up in the atmosphere while you are watching the joyous animations. There are restaurants and cafes that you can have something delicious after hours of swimming, jumping and sliding. 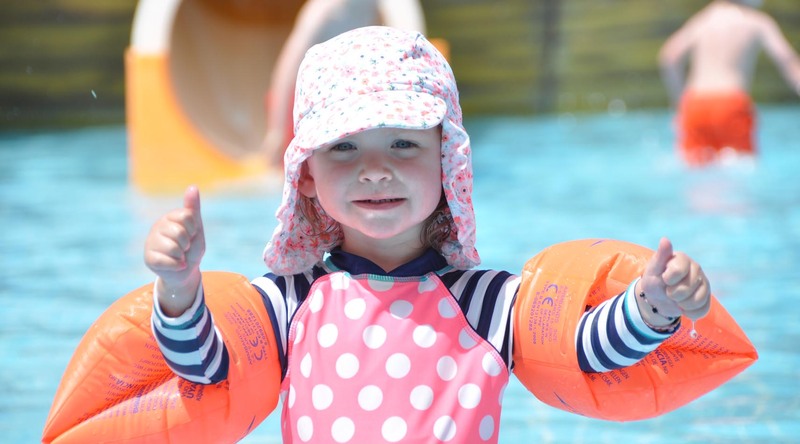 After getting some energy, you can continue to have fun in the pools and slides. After a couple of calm and peaceful days during your summer holiday in Fethiye, Fethiye Water World Aqua Park tour would be a great change filled with joy and laughter. You will cool yourself in the pools in a hot summer day, and push your limits with the different heights of slides. Every moment of this awesome tour will be full of laughter. You will leave Fethiye Waterpark with unforgettable and happy memories that you can talk about when you go back to your country. 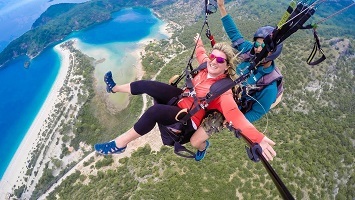 Fethiye Waterpark is an Any Time Tour. So you will be able to choose the time that is most convenient for you. On the tour day, our buses will be waiting for you in front of your hotels at the planned hour. We want to make you comfortable during your journey so if you need anything, please do not hesitate to inform our tour guides or drivers. They will be more than happy to help you. 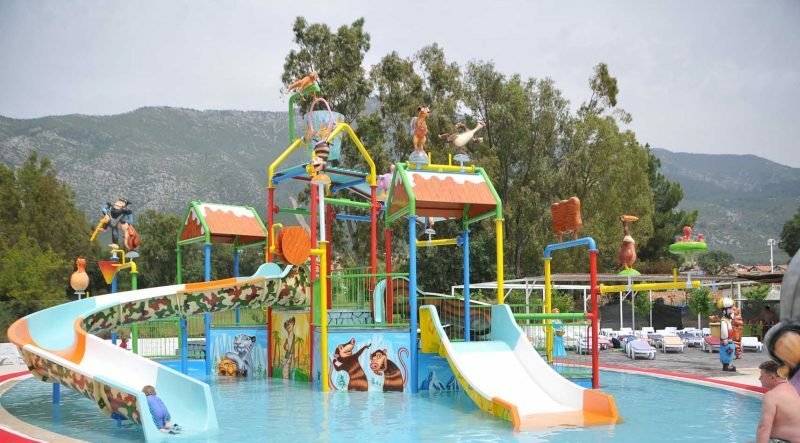 Fethiye Water World Aqua Park is the best waterpark all around the region presents a variety of slides and pools. Depths of pools and the heights of slides vary. You can choose one which is suitable and proper for you. In the facility, there is also a wave pool in which you can relax yourself. In addition, children are treated specially. There are a couple of special slides and pools, reserved only for children. All details of their safety is thought, and all of the measurements are taken beforehand. So, there is no need for you to be worried while your children are having fun. In this amusing facility, there is also a restaurant which presents you a variety of delicious foods and cool drinks. 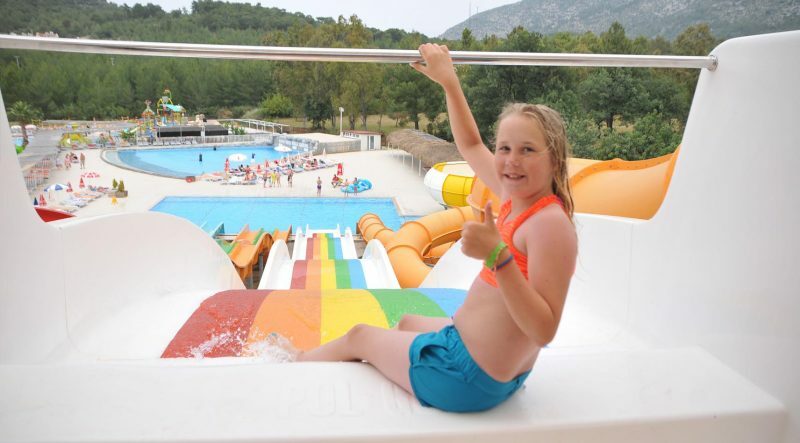 In this amusing aqua park, you will be presented a lot of different slides. Their heights and shapes will be different from each other, so it is up to you which one to try first. Fethiye aqua park is designed for everyone. In other words, everyone can find a slide for himself to have fun. As well as having fun, your safety is the utmost importance for us. As a result, every slide and pool is checked beforehand, and every safety measurement is taken. 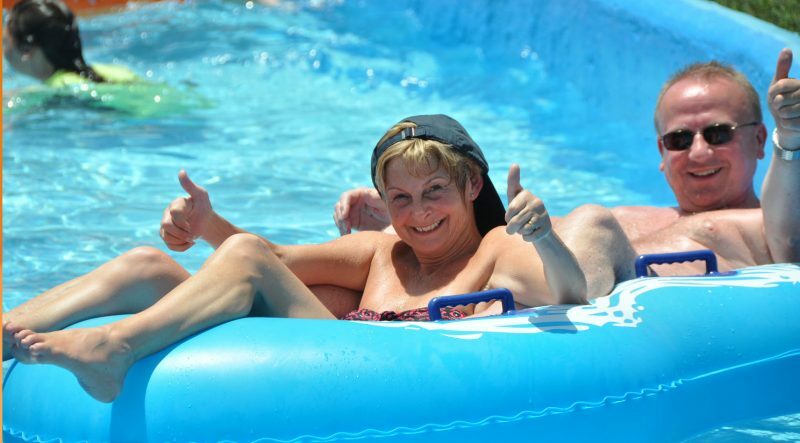 Proudly, we don’t have many accidents, but we have a doctor in our aqua park in case there is a need. As well as adults, the children should have fun, too! In fact, they should have more fun than adults, and they should be safe while having fun of course. 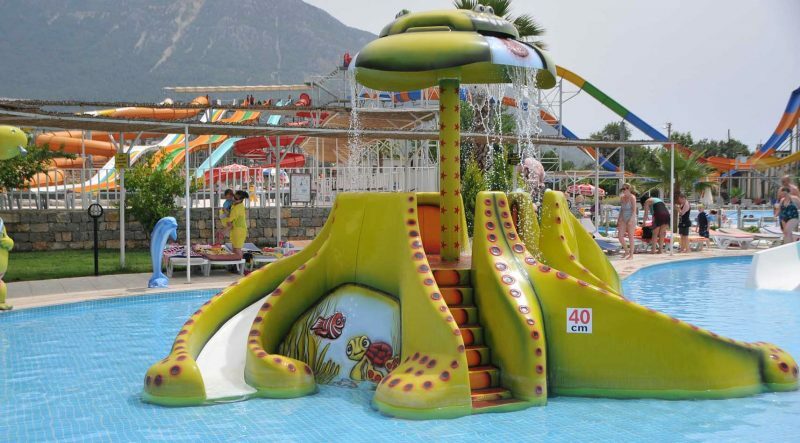 As a result, there is a specially-designed part in the Fethiye Waterpark, just for children. 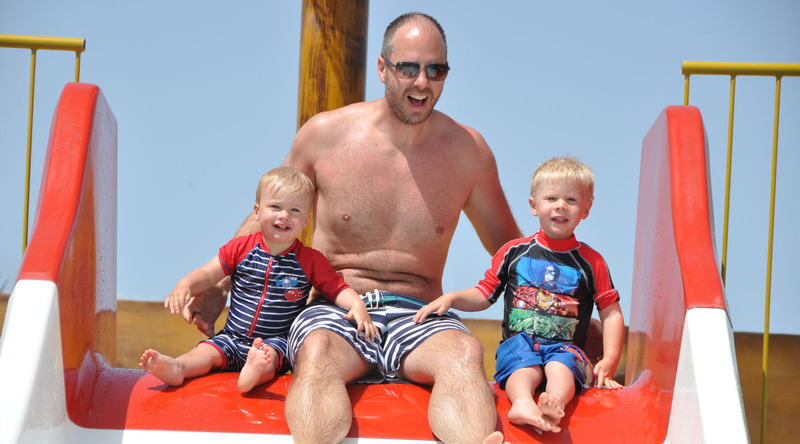 The depths and the heights of the slides are specially designed for children. So, you do not neet to feel anxious while your children is having fun there. Your children will never forget this awesome place, as it will be a great chance for them to discharge all of their energy! After spending a full day with full of amusement, you will be tired and happy. Our drivers will be waiting for you in front of the aqua park at the end of the day. Our utmost importance is that giving you a comfortable journey. As a result, please feel free to inform our drivers or tour guides if you need anything, or if you have a problem during your travel.